How are they different? And more importantly—can you see it? The biggest thing in TVs right now is "HDR," or High Dynamic Range. 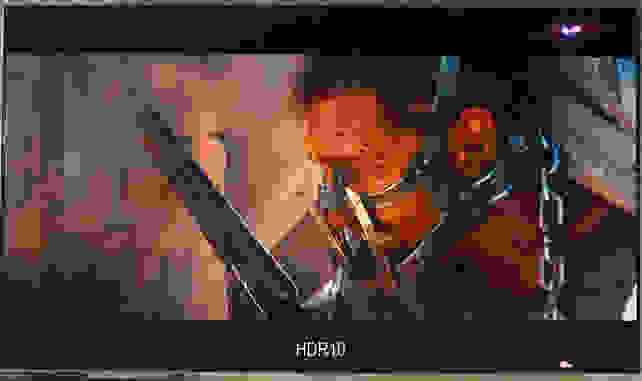 Movies that are HDR-compatible have been mastered to push TVs to their limit, with brighter highlights, deeper blacks, and a wider array of colors. Combine that with the sharper picture you get from 4K and these new movies look absolutely stunning. Of course, while HDR is the future, getting there is going to be messy. Currently, HDR is available in two formats: HDR10 and Dolby Vision. 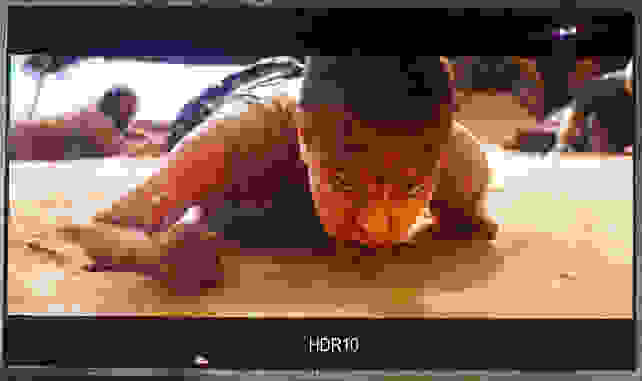 HDR10 is open source and backed by players like Samsung, Sony, LG, Panasonic, and Hisense. Dolby Vision is more ambitious, but it is proprietary, and the only compatible TVs right now are LG's OLEDs, a few TVs from TCL and Philips, and the ultra rare and expensive Vizio Reference Series. Confusing, right? We're here to help. What sets HDR10 and Dolby Vision apart? Essentially, Dolby Vision is aiming to be a premium version of HDR10. Dolby Vision mastering uses a "color volume" process that, in short, is waiting for TVs to catch up with it, while HDR10 is being fitted to what TVs are actually capable of right now. So in theory, Dolby Vision is the superior format, promising better image quality across the board. Except, there's no guarantee that display technology will ever get there. Compare HDR10 and Dolby Vision using the best TVs today and it's difficult to tell the difference. But don't just take my word for it. We dove into a direct scene-to-scene comparison between the HDR10 and Dolby Vision versions of Mad Max: Fury Road to put Dolby's claims to the test. Given one of Dolby's theoretical displays—capable of 10,000 nits brightness and full BT.2020 color saturation—you would see a massive difference between current HDR10 standards and fully realized Dolby Vision. However, in the real world, the visible differences are going to come down to the TVs you're comparing. To minimize those difference, we set up the LG OLED55B6P, one of LG's newest 2016 4K OLED TVs that supports both HDR10 and Dolby Vision. This made it fairly easy to watch content that's been mastered in both HDR10 and Dolby Vision. In this case, it was Mad Max: Fury Road on 4K Blu-ray (for HDR10) and streaming in Dolby Vision from VUDU. Both modes were left in their defaults—Dolby Vision Bright and HDR Bright, respectively—with no other settings altered other than motion smoothing, which I promptly disabled. To the untrained eye, or at a casual glance, the HDR10 and Dolby Vision editions of Mad Max: Fury Road looks almost identical. But as it stands right now, I'm heartily convinced that the Dolby Vision version looks just a little better. Fellow TV reviewer Michael Desjardin and I both agreed that—probably because the Dolby Vision version was down-sampling from a superior master using 12-bit and a theoretical Rec.2020 color space—it had better gradated coloration and a slightly sharper, more balanced look than the HDR10 disc. This is really saying something, too, considering the Dolby Vision version was streaming from Vudu, and the HDR10 version was playing from a Blu-ray disc. I'm convinced that Dolby Vision looks just a little better than HDR10—at least for Mad Max. It is worth noting that in all comparisons, the HDR10 and Dolby Vision versions of the disc allocated luminance and contrast about the same way. To our eyes, the major differences came down to white balance and RGB emphasis, which are subtler elements of picture quality but still of high import. Both version of Mad Max look great, of course, and oodles better than the standard Blu-ray version, especially where peak brightness and color fidelity are concerned. But to our eyes, the streaming Dolby Vision version is the superior master of the movie, making subtler use of HDR (wide color gamut) enhancements to add realism to sand, dirt, and skin tones without the slightly burnt, over-emphasized look of the HDR10 version reflects (by comparison). Does that mean Dolby Vision is superior to HDR10? Not exactly. While Dolby's colorists and mastering engineers do, in fact, have a larger artist's palette to work with (given their higher mastering targets compared to HDR10), it's definitely a movie-to-movie basis. There are still fewer Dolby Vision-capable TVs and Dolby Vision-ready content compared to HDR10, and overall it's a more expensive ecosystem because it's proprietary to Dolby. That's not to say you're paying more for subtler reds and better skin tones—but that's kind of what you're paying for right now, given the limitations of the hardware. Ultimately, however, we're hoping to see the HDR TVs of 2017 adopting both standards universally so as to mend the need to choose between one or the other. Stay tuned for another look at the pros and cons of HDR10 and Dolby Vision—we plan to do a side-by-side shootout between the "HDR standard" Samsung KS9800 and the Vizio Reference Series, the first Dolby Vision TV on the market.